Like Napster and the music industry, Uber and local taxi cartels, bitcoin and national fiat currencies, and the blockchain and the big banks. The peer-to-peer sharing economy is literally revolutionary. Mainprise will use peer-to-peer bail payments, BAIL tokens, and blockchain technology to demolish the power structures of bail bonding agencies and insurance agencies. 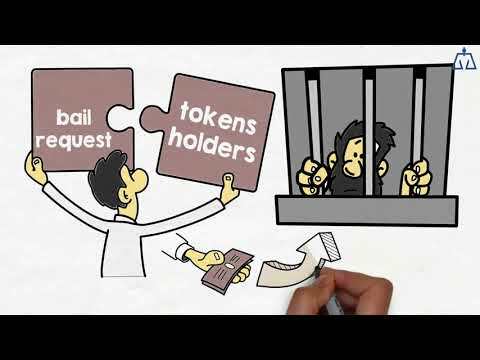 BAIL Token is a platform for the future of bail payments that is being built on top of the NEM blockchain. It will enable peer-to-peer bail payments using a cryptocurrency token and will offer seamless integration with jail and detention center systems, bail payment kiosks, and Mainprise ambassadors. Token holders are able to manually or automatically configure the platform to make payments based on their preferences. Payments are refunded regardless of the trial outcome and token holders earn fees based on the risk scoring of the defendants. Since payments are refunded and spread across many token holders the overall risk is reduced. Instead of the normal 10% bail premium fee, the platform is able to charge a much lower fee by using an AI-based risk-scoring tool to determine the fee charged for bail payments. BAIL tokens are being implemented as the cryptocurrency for payments. Token holders will use them to make bail payments. Regardless of the trial outcome, all payments are returned by the courts after court appearances and refunded back to the token holder along with a portion of the fees paid. Recruit Team, Advisors & Partners. Bitcoin Talk ANN, Hire Community Manager, Kickstart Community Building, Airdrop, Bounty. Specification, Legal Registrations, Launch Token Game. Obtain Risk Scoring Data, Start Risk Score Models, Start MVP. Implement Application Layer for NEM Integration, Setup Fugitive Recovery Agent Recruiting Program. Implement Risk Scoring, Build Bail Payment Hybrid Solutions, Design Bail Payment Kiosk, Secure 1st Kiosk Location. Install Kiosk, Go Live With Hybrid & NEM Decentralized Solutions.